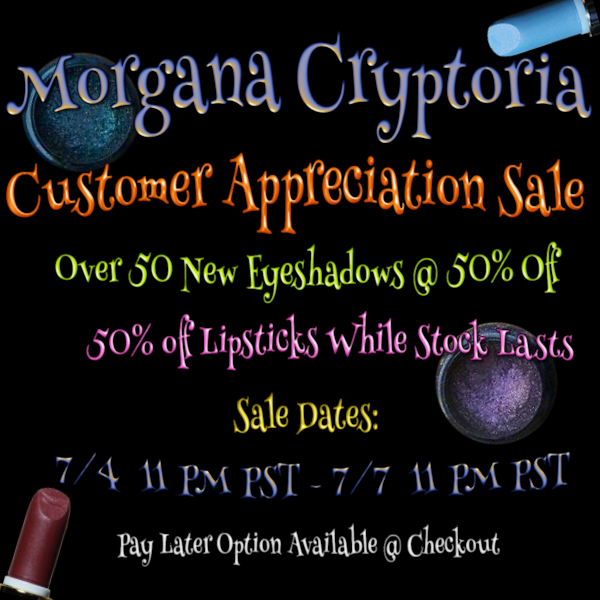 11:42 Style: Morgana's Crypt Customer Appreciation Sale! Have ever wanted to try new lipstick colors like mint green, baby blue and iridescent teal? If so Morgana's Crypt is a great place to get them! Right now they are having a 50% off sale which brings each lipstick to only $6.25. This is my first time ordering from here but I have only heard good things about the formula and pigmentation, I will review them once they arrive :). This is the site's image of Troll Repellent, the shade that I am most excited to try. 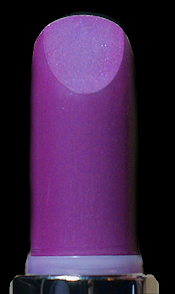 It is described as "vivid pink-violet with blue sparkles." Another blogger, Phyrra, swatched this color and some others here http://www.phyrra.net/2012/04/morgana-cryptoria-troll-repellant-far-out-and-totally-tubular.html. Hope that you had a Happy 4th of July!